SM came to an "Intro to ThetaHealing" workshop and booked a one-on-one session, and another for the following week. Here is what she has to say about her experience. 2 weeks ago, I never heard of Theta meditation or Theta healing, yet here I am today, fresh from our 2 healing sessions, and I've never felt so free/ empowered/ lifted/ enlightened/ intuitive/ connected/ soulful in my whole life. When we first met and you led me through a basic theta meditation, I thought it was pretty cool and felt very grounded and connected to the universe (and all that was/ all that is). And I assumed that would be it - I'd have a new type of meditation to add to my routine and go on my way. I didn't have any ailments or diseases (thank god) that needed "healing", so figured the healing part of it wouldn't be applicable. 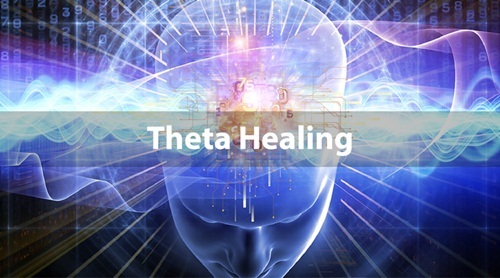 Then you said theta healing can help remove limiting beliefs you hold (& may not even realize you hold), and the lightbulb went off - um, yeah, I definitely have some of those! I just entered a new phase of my life, and am trying to figure out if I can go on my own into my own business, and how I cam make an impact on the world, while still being a great mom and wife. I've been doubting myself, getting anxiety over what would happen if I didn't fulfill my destiny (whatever that may be! ); and all of this self-work has been putting added strain on my relationship with my husband. So I thought, what the hey, I'll try out a session, what's that could happen. Within minutes at our first session, you helped me reveal some pretty deeply held beliefs that I wasn't aware I was holding onto. You cleared those beliefs and we moved on to dealing with other long-held feelings/ emotions/ beliefs. The gentle way you asked questions, and the non-judging way you dealt with everything that came up, was amazing. I left that session feeling like an enormous weight that I had been carrying around - possibly for my entire existence in this life and in previous lives - had been completely lifted. I even got an unexpected message from both of my grandfathers that provided more healing and closure. I asked for our second session after another failed couple's therapy session happened with my husband (we were growing impatient with our therapist, feeling like we hadn't made any progress for the 1.5 months we'd been going); I thought, perhaps there are limiting beliefs that I can heal and get clarity on that would help me heal myself and allow me to bring my whole self into our relationship. Once again, your simple and gentle prompts helped me reveal things I've struggled to put in words for years, and your healing provided me with so much clarity about what I needed to do to help heal my relationship. That night, feeling empowered and inspired, I had the best conversation with my husband in years; you helped me listen to my intuition and my heart, instead of my ego and brain, keeping me from getting defensive (like usual) and feeling hurt, and allowing me to be present and listen with my whole being. My husband and I opened up to each other like we did when we first met (before marriage, kids, stresses, etc.) and it was amazing. I joke that these 2 sessions with you wound up bringing me healing that 5yrs of therapy likely wouldn't have provided! Yeah, I kind of feel like I had to drink a little theta kool-aid to really get everything I did out of it :) But the results were not only evident, but immediate. You've got a real gift Colleen, and I'm so glad the universe brought us together on this journey!